Originally Submitted to FurAffinity.net on Dec 3rd, 2012 04:50 AM. Before it was transferred to Inkbunny it had 58 views and 2 favorites. 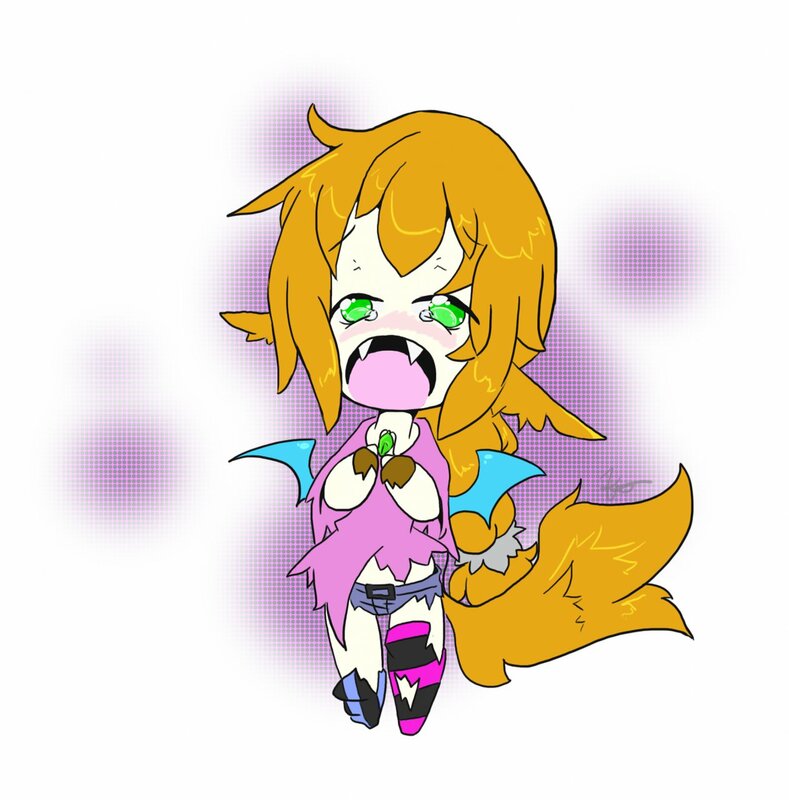 This little cutie is Zarik, a werewolf/vampire mix and the first in a small group of monster girls I plan on making.